Enable your network’s full potential by delivering industry-leading products your customers will love. Enhance customer loyalty, engagement, and ARPU’s with Avast’s security and family safety solutions. Improving online security and device efficiency will keep your customers safe and loyal. Security software decreases the risk of malware infections, and thus the load on your technical support. With a subscription-based service, you’ll continuously increase your ARPU at no additional cost. Providing your customers with the latest technologies builds their confidence in your brand. Be the first mobile operator in your market to introduce security and parental controls services. Mobile network operators and OEMs around the world partner with us to provide innovative solutions to their millions of customers. Our suite of products provides complete online and offline protection for your customers. Using our “Building Block” architecture, any functionality we offer can be easily customized into a unique solution for you, based on your and your customers’ needs. 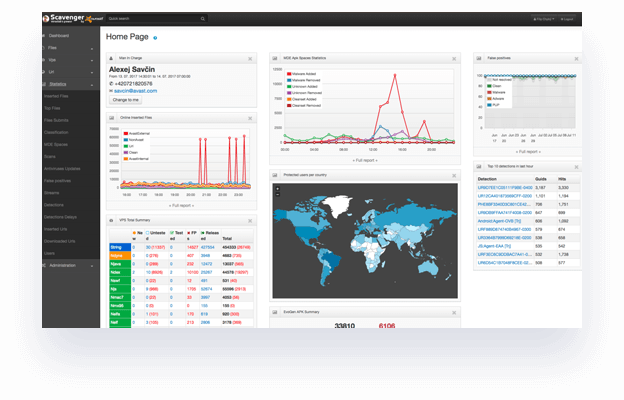 Monitor device activity and encrypt data traffic for complete privacy on any Wi-Fi network. Device protection and performance enhancement, including chip-level security. Device locator to ensure child safety, or data control in case of theft. Protect customers at all times and in all places over your broadband cellular network. Secure customers’ home Wi-Fi networks and their connected devices at the router level. 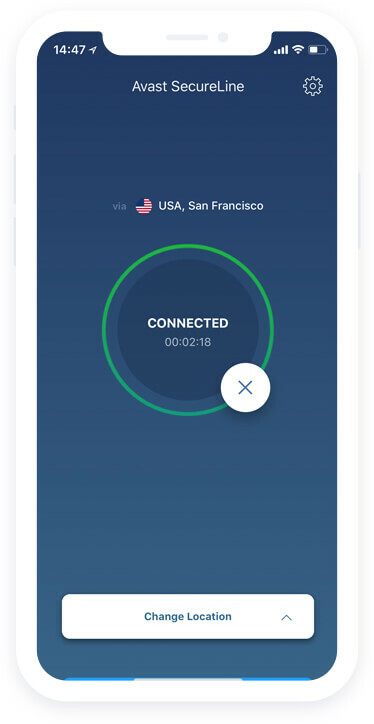 Our encrypted VPN ‘tunnel’ prevents hackers from stealing your customers' data when they are connected to any public/unsecure Wi-Fi network. SecureLine VPN also provides private, anonymous browsing by hiding your customers' online activity and anonymizing their banking logins, chats, emails, and online payments. SecureLine VPN will enable your customers to access more online content by allowing them to connect to over 50 servers around the world, including the UK and USA. Provides comprehensive protection against viruses and other types of malware such as phishing attacks via email, phone calls, infected websites, or SMS messages. Additional features include App Lock, which protects the phone's apps from intruders, and Power Save, which helps preserve the phone’s resources. With over 100M installs and a 4.5 rating from the Google Play store, our mobile security app is a must-have. Not only does it improve the NPS, but the decreased risk of malware on devices also alleviates the workload and cost of your technical support. Helps your customers’ phones perform at their best by making sure all device resources are utilized effectively. Keping your customers loyal and confident in your brand. Clears out unnecessary, space-wasting files from the device and apps, such as caches, temporary files and leftover data. Analyzes which apps are taking up the most space and deletes the ones that are no longer in use. Hibernates the CPU, battery, memory, and resource-draining apps to extend battery life and speed up phone performance. A parental assistance app that gives your customers insights about their children’s mobile device and Internet use so they can keep their children safe. On a private map, your customers can locate their child’s phone in real-time using a GPS tracker. Automatic alerts can be set up to notify parents when their child leaves or arrives at certain locations, such as home, work, or school. The app can also check the battery status of a child’s device to help keep them connected and reassure parents in case they cannot reach their child because of a dead battery. Anti-Theft is designed to protect your customers private mobile data and help them recover their phone in case of loss or theft. 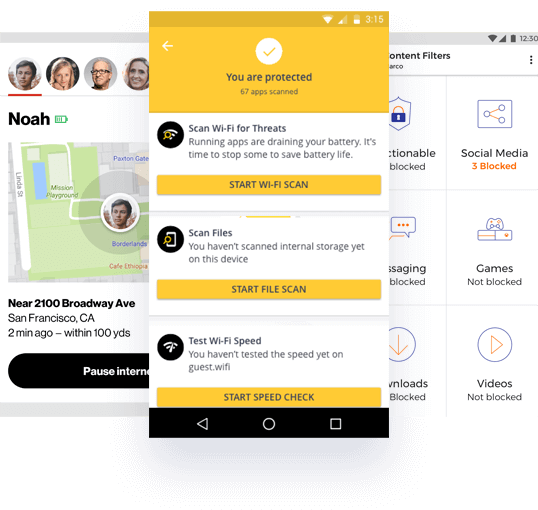 Anti-Theft allows users to track their device remotely, as well as lock it, erase private data, or secretly record audio of the phone's surroundings. The app can automatically capture a photo when an incorrect PIN is entered or sound an alarm and mark the device as “lost” when the SIM card is changed. By implementing network security directly on your gateway, you can easily keep your customers and their devices safe at all times, wherever they go. 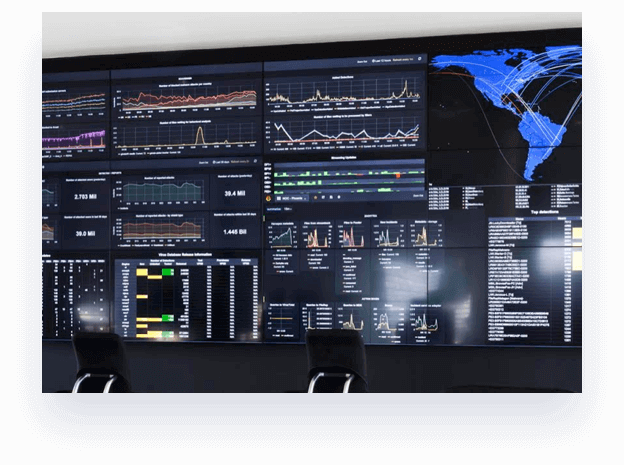 All data is processed and analyzed in real-time by our cloud intelligence platform, and managed easily by the customer through our companion app. Driven by AI, our product works on all devices and across different platforms, and does not affect internet speed. 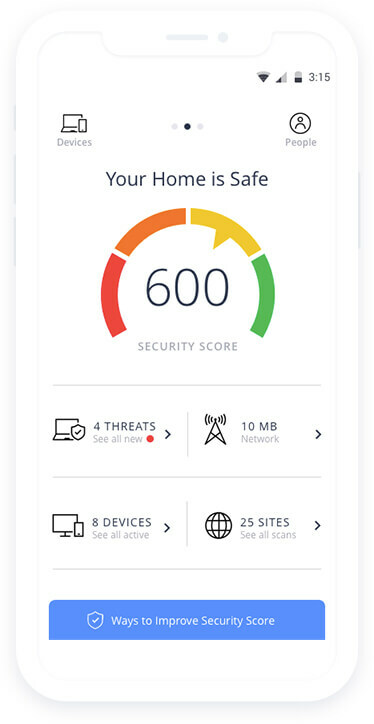 Keeps your customers’ homes and families safe by monitoring their home Wi-Fi network and shutting down any malicious activity before any harm is done. 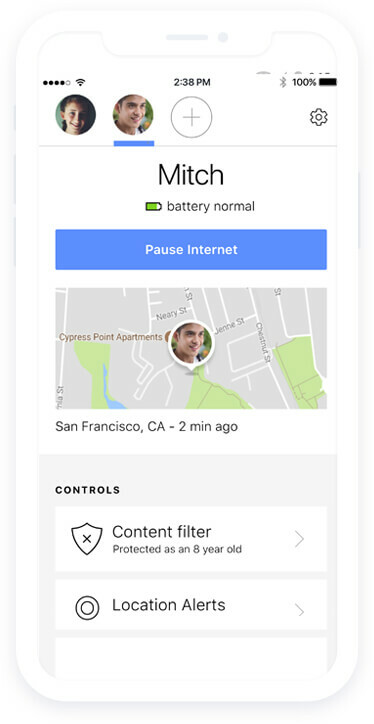 Provides your customers with peace of mind by allowing them to control how their children use the internet, and by know where they are at all times. Incorporated into the existing home Wi-Fi network and fully controlled via a companion app, Avast Smart Home Security provides complete protection without the hassle. Our experts will work closely with yours to ensure the seamless implementation of our solutions, while maintaining the integrity of your brand. We have 10+ years of experience integrating with location, call, billing, and other carrier network systems. We are experts at white labeling and will work closely with you to create a design that matches your brand identity. We support all of our partners around the world 24/7. Home security and safety will be the most significant paid service in 2021. Companies, consumers, and governments will install more than 55 billion IoT devices worldwide through 2025. More than 40 percent of respondents agree that smart home technology reveals too much about their personal lives.